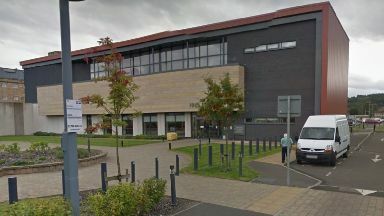 On a visit to HMP Perth in May last year, a report by HM Inspectorate of Prisons for Scotland (HMIPS) gave a "poor performance" grading to the prison for health and wellbeing. On Wednesday, an HMIPS report detailing the findings of the return visit was published and indicated that HMP Perth had invested "considerable time and resource" to improve healthcare provision since the May 2018 visit. The report however said the service still has "much to do" and referred to an ongoing 'critical incident' that had highlighted to inspectors the "many challenges" faced by the service in being able to deliver a comprehensive healthcare service. In its conclusion, the report stated that although inspectors recognised that progress had been made at the prison, the impact on patient care would not be fully visible for some time as new processes and developments bedded in. Inspectors also set out that they would conduct a further visit to the prison in late 2019. HM Chief Inspector of Prisons for Scotland, Wendy Sinclair-Gieben, said: "It was clear that HMP Perth and Perth and Kinross Integrated Joint Board Health and Social Care Partnership (the Partnership), had invested and committed considerable time and resource to improve healthcare provision in the period between the full inspection and this return visit. "Commendable progress had been made in many of the areas highlighted in the full inspection report and it is testament to the Partnership that the service remains committed to addressing the serious concerns raised and improving the holistic approach to healthcare provision. "I am pleased to note areas of developing good practice. "Overall, inspectors recognised that although progress had been made, the impact on patient care would not be fully visible for some time as new processes and developments bedded in. "The Inspectorate will return to HMP Perth in late 2019 to allow the Partnership to continue to work towards achieving their own action plan and confirm continued progress."